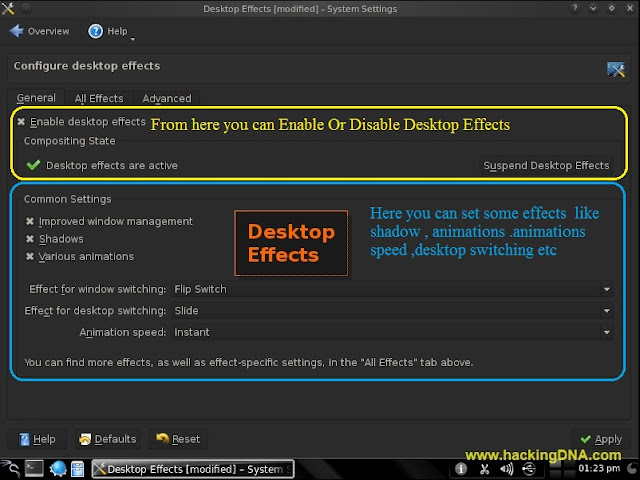 From here you can configure desktop effects . 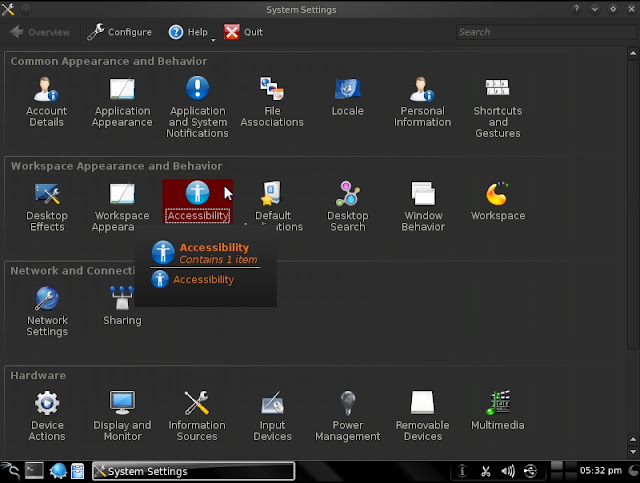 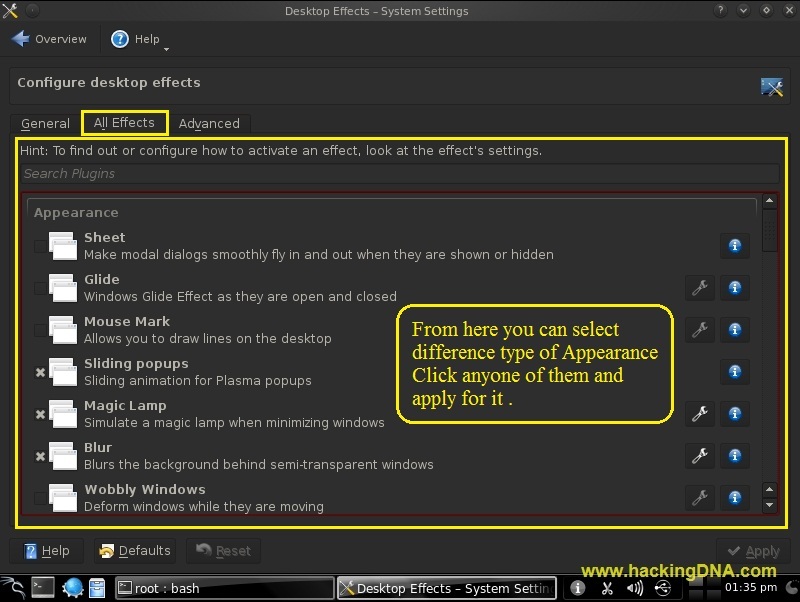 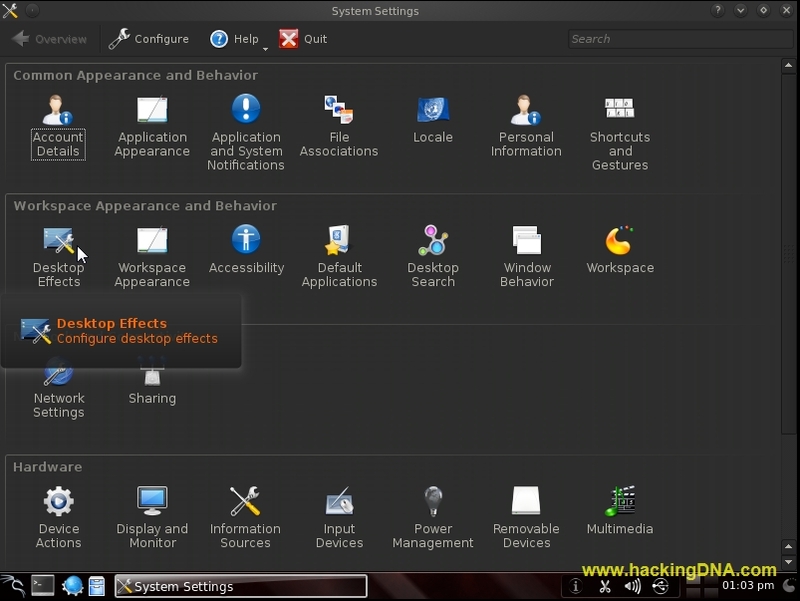 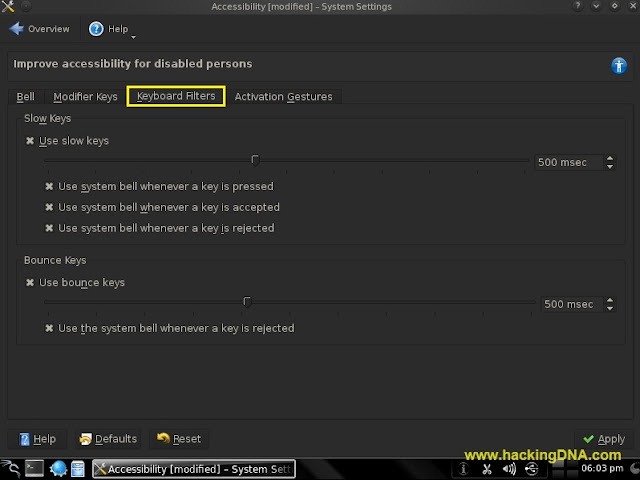 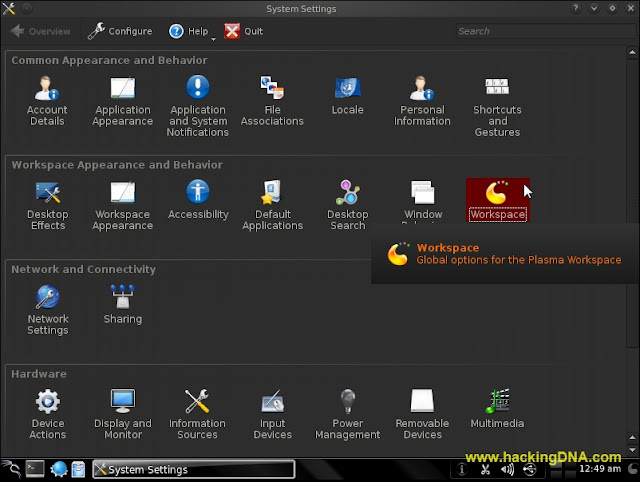 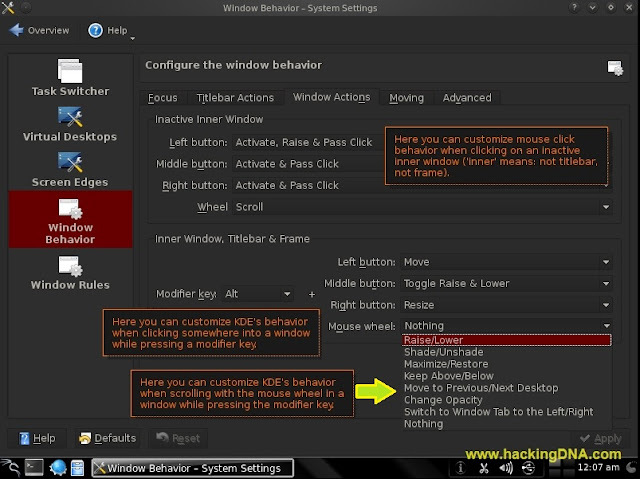 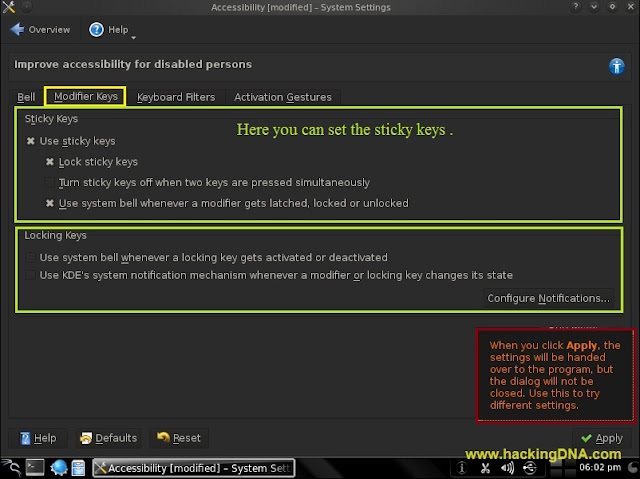 From here you can Enable or Disable Desktop Effects . From here you can select difference type of Appearences . 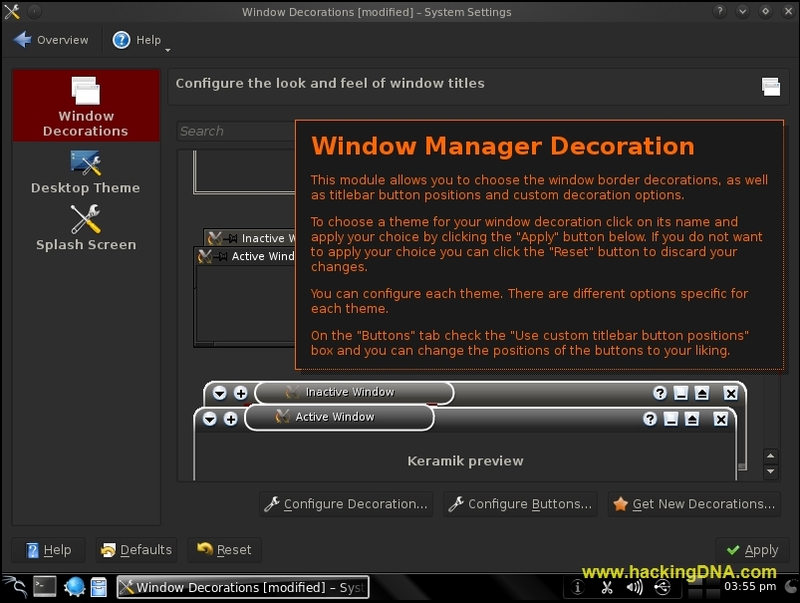 From here you can choose the windows border decorations, as well as titlebar buttons position and custom decoration options . Here you can customize your Desktop Theme . 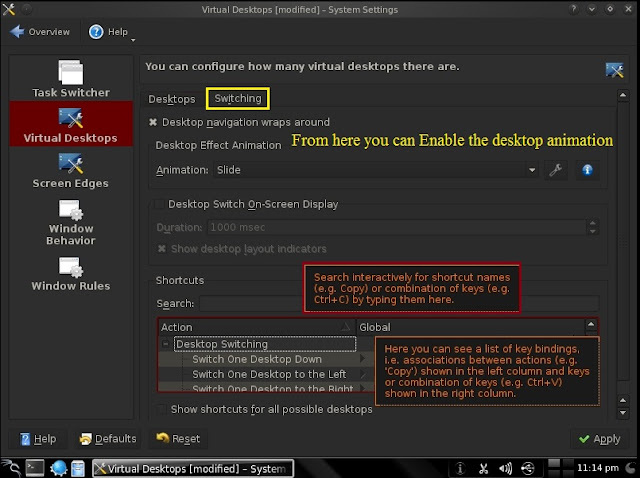 Here you can change your visual appearence of the desktop. 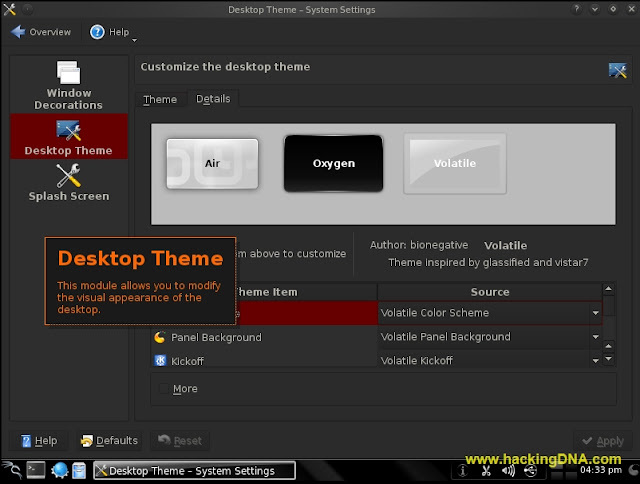 Also you can Get new themes from the internet . 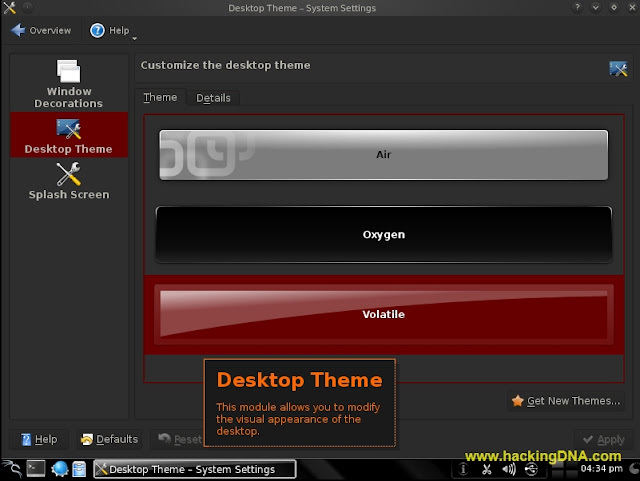 For new themes click on the Get New Themes Button . 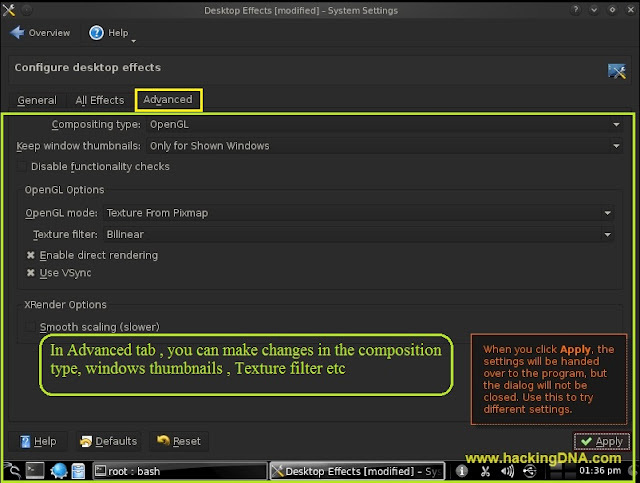 Here in Details tab you can change the Color Scheme , Panel Background of your theme . 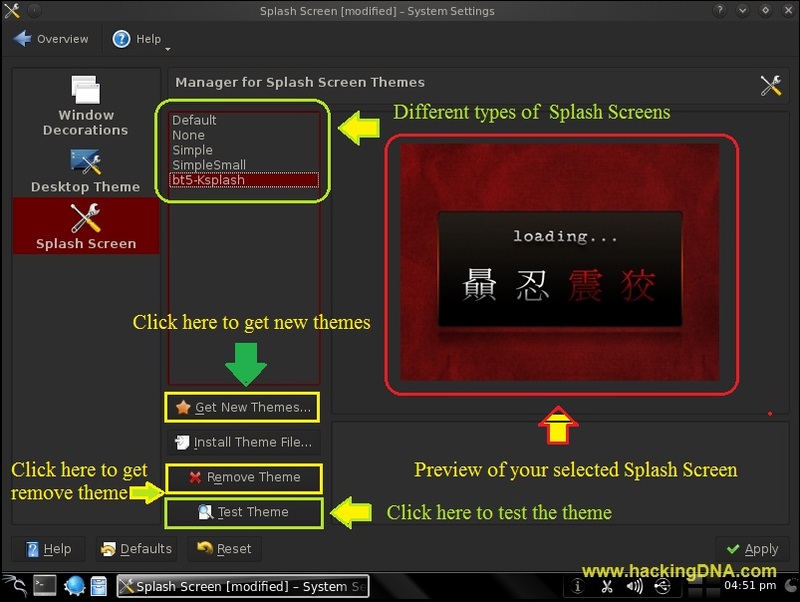 Here you can choose your favourite Splash Screens. You can download New Themes from the Internet . You can Intsall theme file locally . 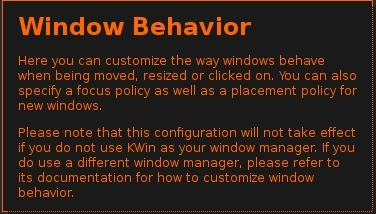 You can remove the theme . You can also Test the theme before Applying it . In accessibility , you can use Audio bells, Visible bells . 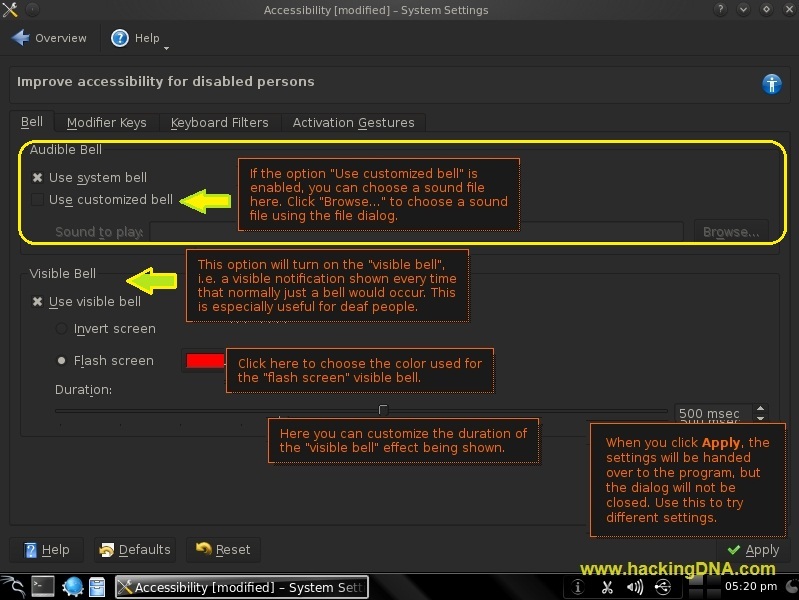 You can also use your own custom bells . 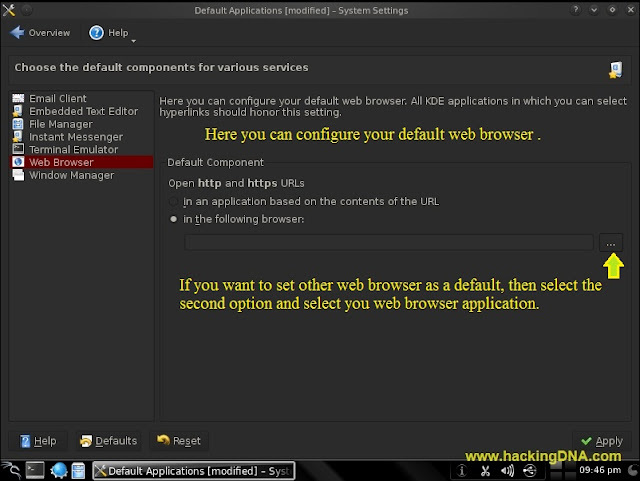 After setting don't forget to click on the Apply button . 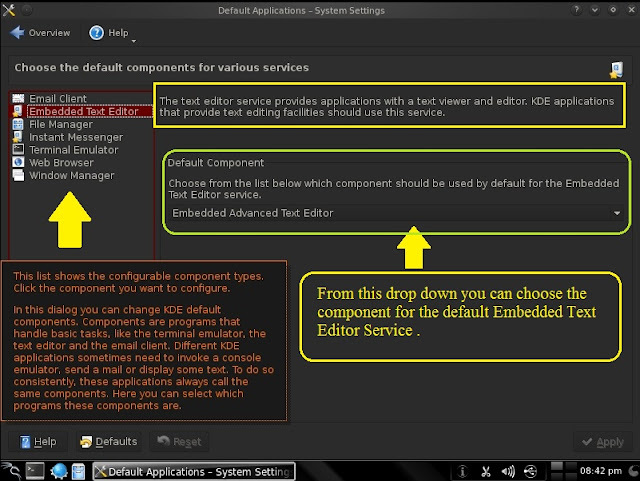 Here you can choose default components for various services. 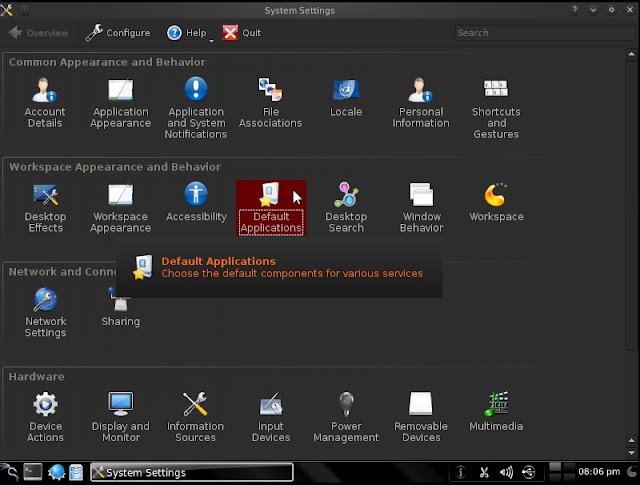 Choose the default componentes for various services. Here you can set the default Embedded Text Editor Service. 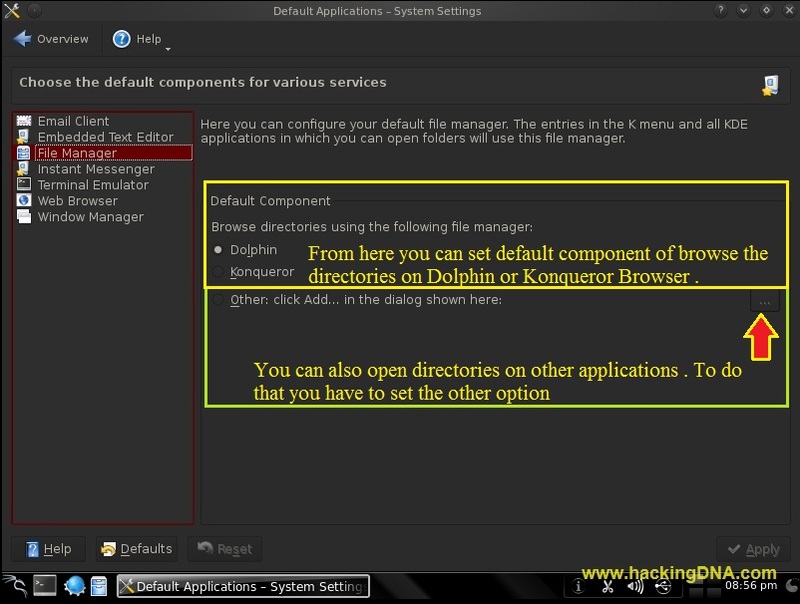 Here you can set your default file manager . Here you can set Dolphin as a file manager or konqueror web browser as a file manager . 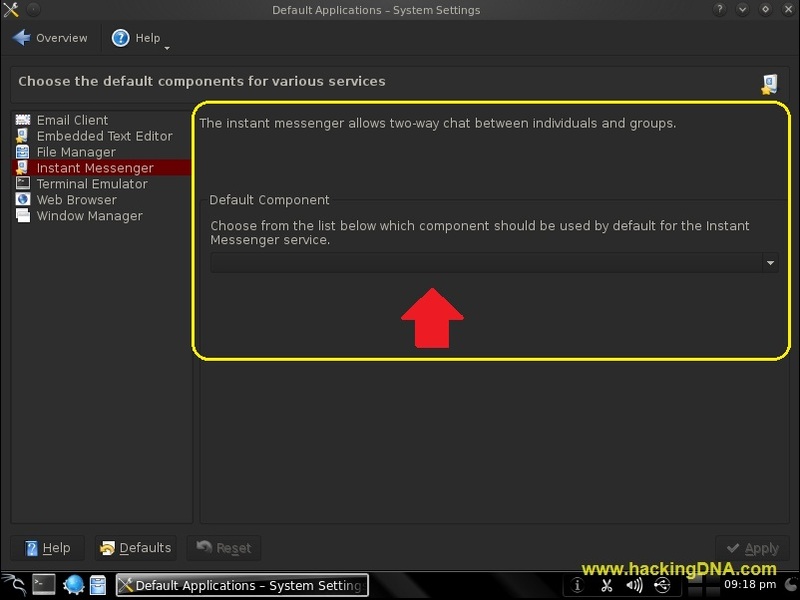 From here you can set the Instant Messenger Service as a Default, if it is in the list of default component . Here you can configure your default terminal emulator . 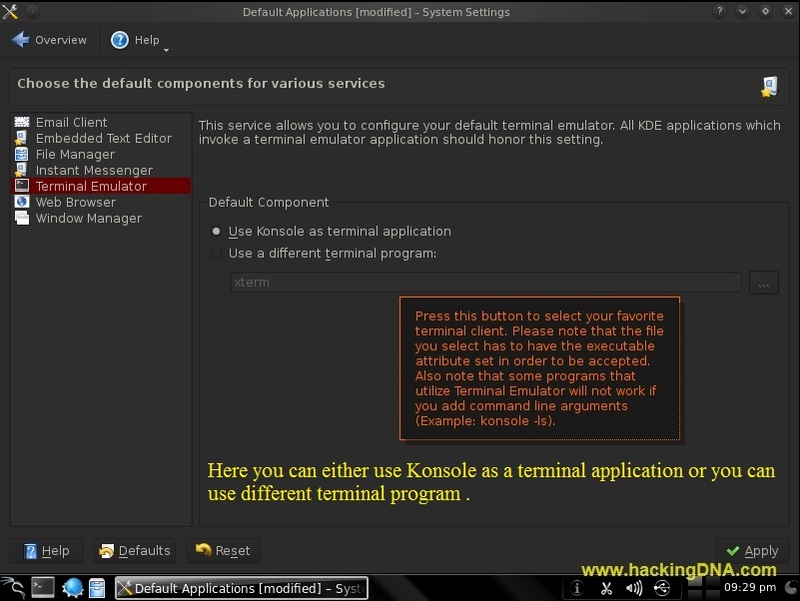 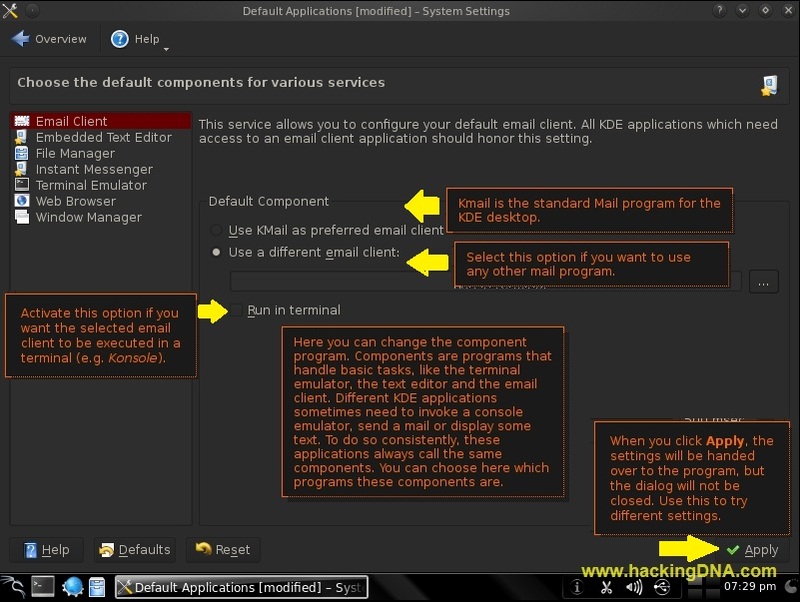 Here you can set konsole as a default terminal or you can also set different terminal program like xterm . Here you can configure your default web browser . Here you can set the default KDE Windows Manager as a default or you can also use different windows manager . 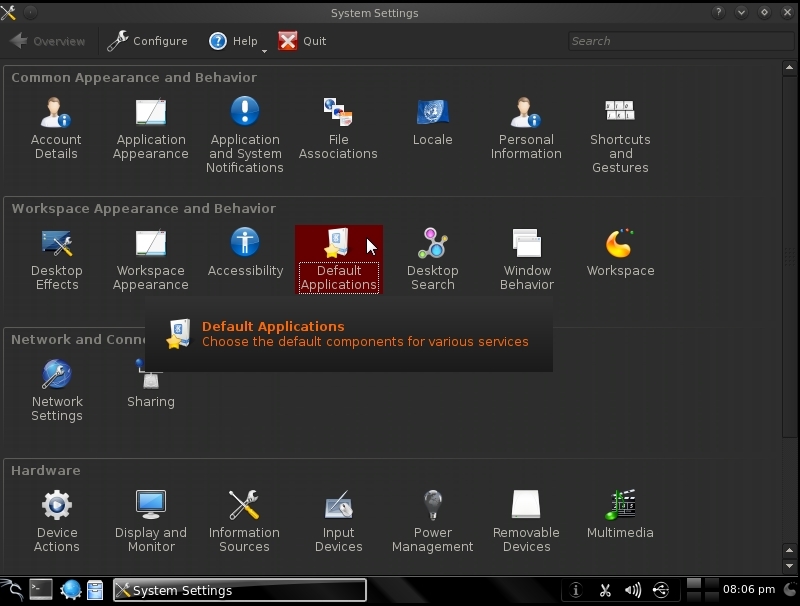 On Backtrack 5 , Nepomuk is the KDE Desktop Search tool is enabled by default. 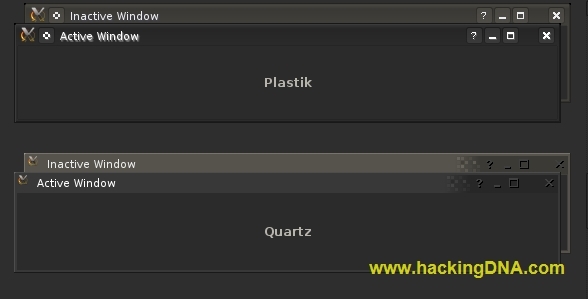 From here you can enable the Nepomuk Semantic Desktop and Stringi Desktop File Indexer . If your system gets slow while searching files , one reason behind this is Nepomuk because it uses the maximum amount of Ram . So its better to configure the Memory usage according to your system performance . 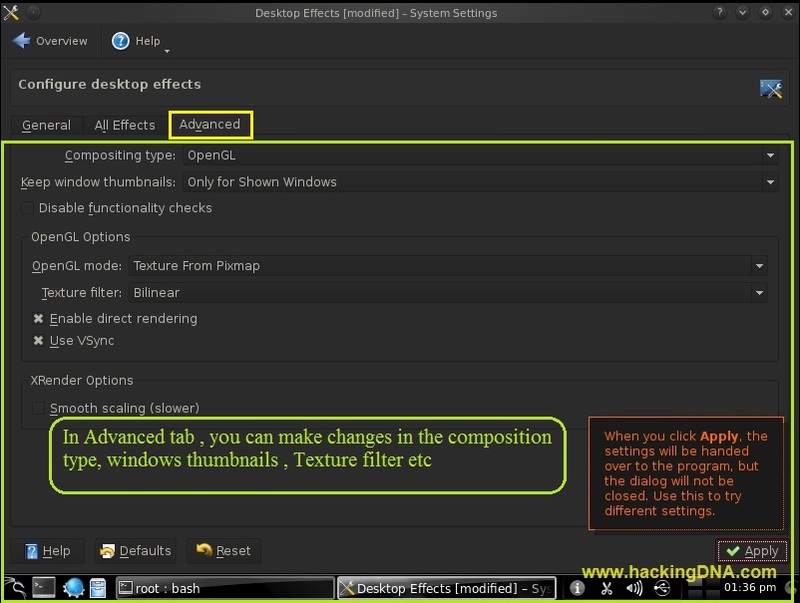 This tweaking will help you to improve the performace . 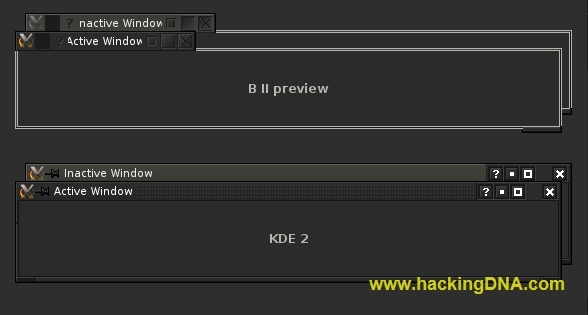 Below it shows the Stringi Index folders and Strngi Index Exclude Filters that helps for fast desktop searches. From here you can give the amount of memory to Neomuk system for better performance . 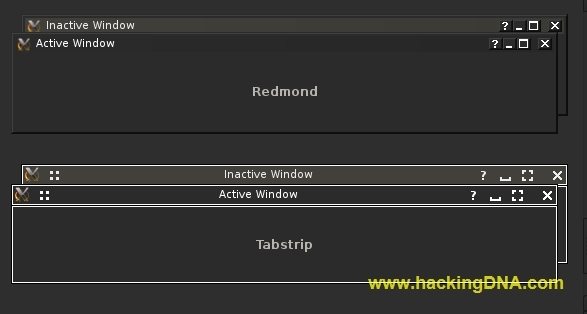 Below there is a slider through which you can give the amount of memory . 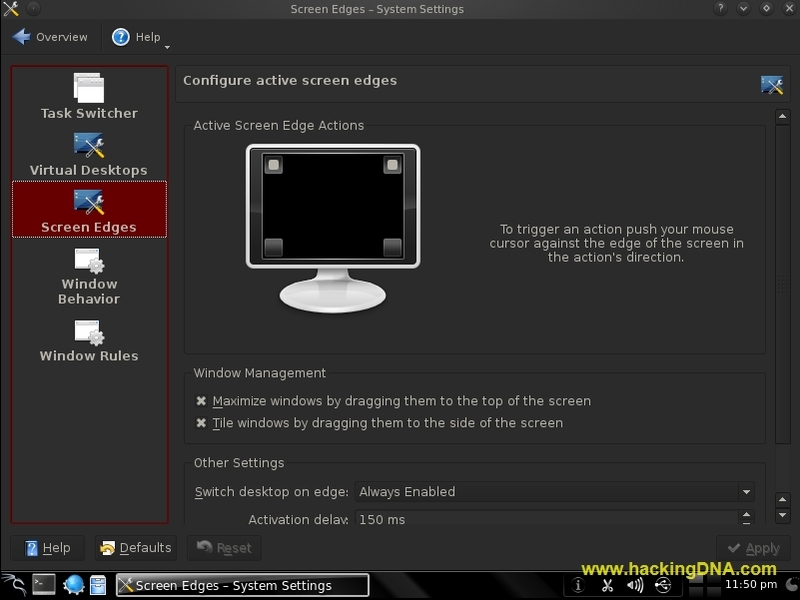 Here you can configure the navigation through windows. Here you can configure the virtual desktops . Here you can set how many virtual desktops you want in your KDE desktop . 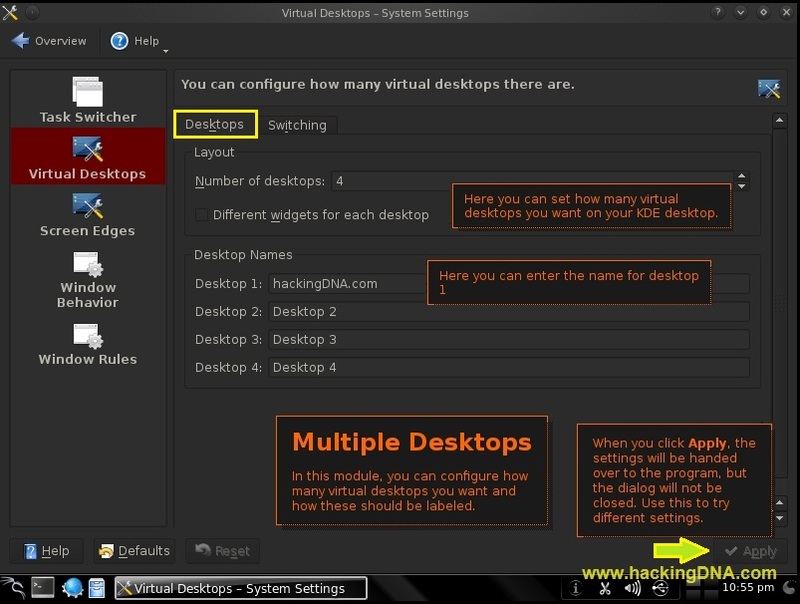 Also you can give the name to the virtual desktops. Here you can enable the desktop animations. Here you can configure your active screen edges . From here you can configure your titlebar . 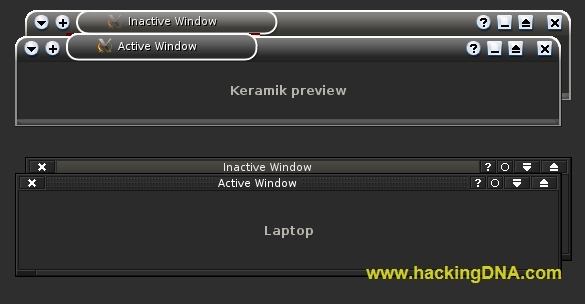 From here you can customize your Inactive inner window and Inner window, Title bar and Frame . 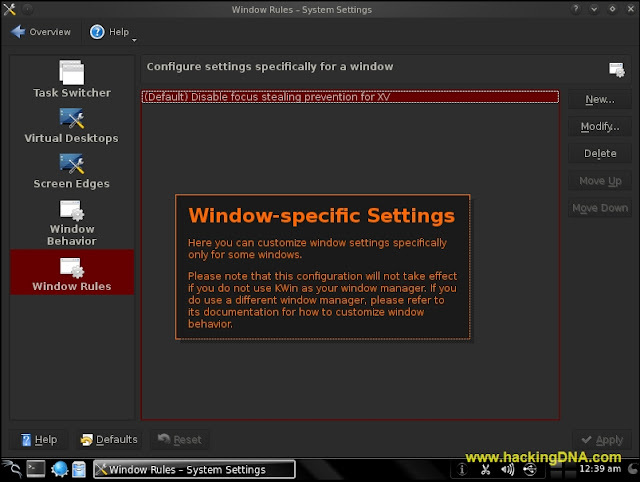 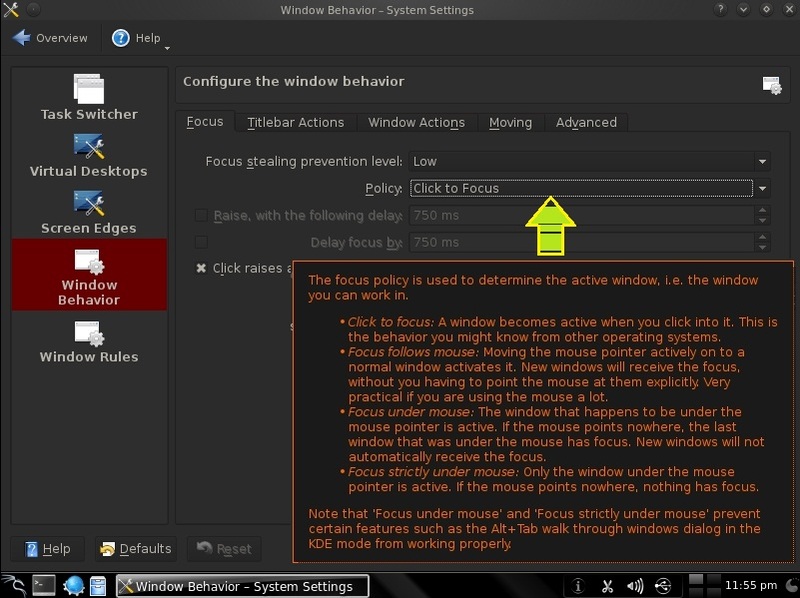 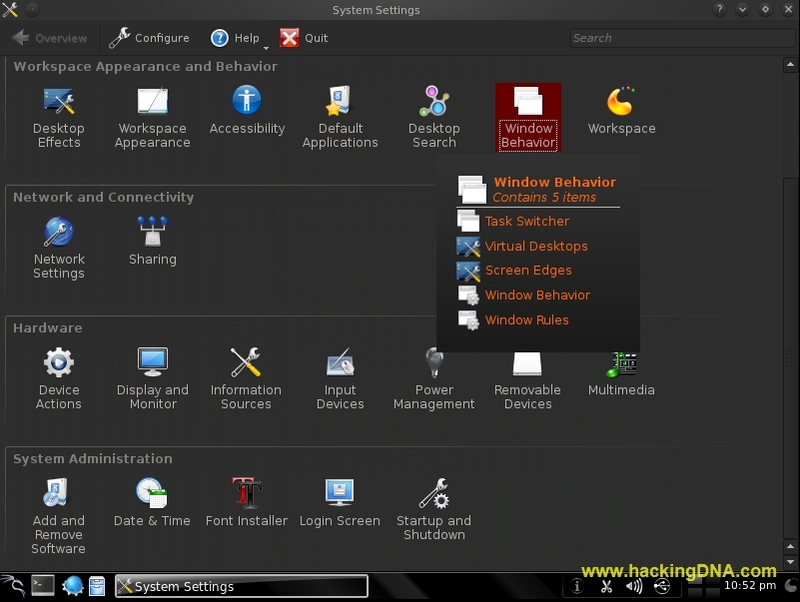 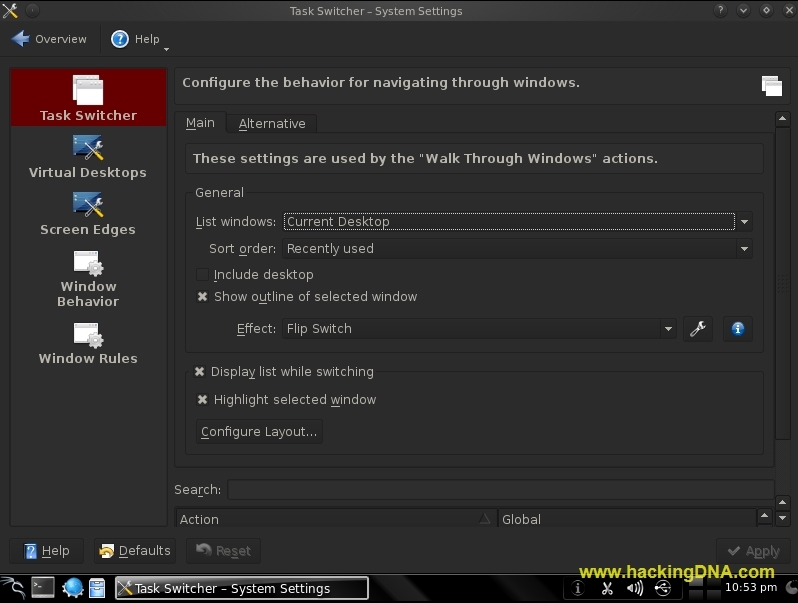 Here you can customize window settings for some windows . 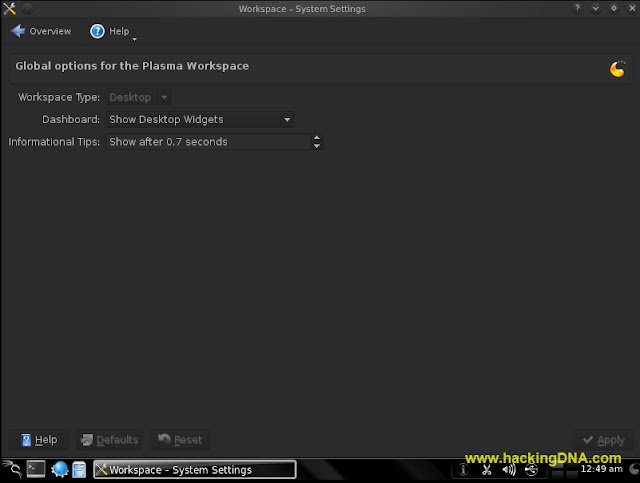 Awesome Posts about Linux... I really Like and Love them... Learnt a Lot from your Blog.